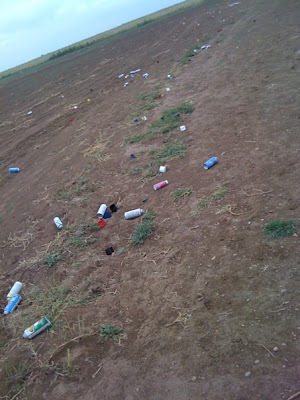 Sunday we were going to Amarillo. 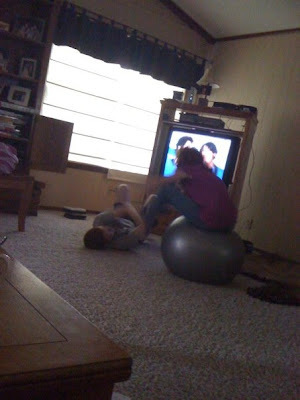 While Sarah was getting ready, her kids tried to kill eachother while I sat quietly on the couch and watched. And for the record "he started it!" We were headed for some shopping and a hotel to hang out and then Monday we were going to get massages. COOL! 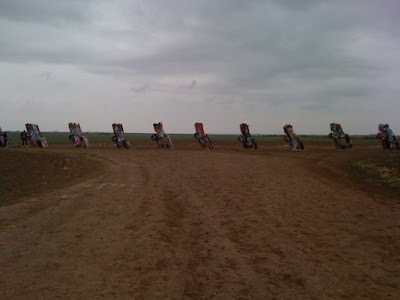 So on the way to Amarillo we stopped at Cadillac Ranch. 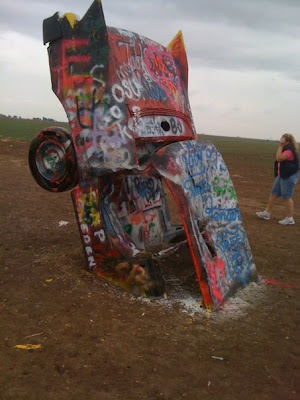 We should have stopped for some spray paint on the way! 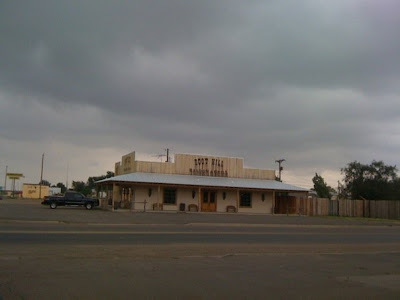 After that we kept driving and then stopped for lunch at Boot Hill Saloon & Grill. We were greeted by a cute girl in a western style sequined dress with boots and a feather (if I remember correctly) in her hair. 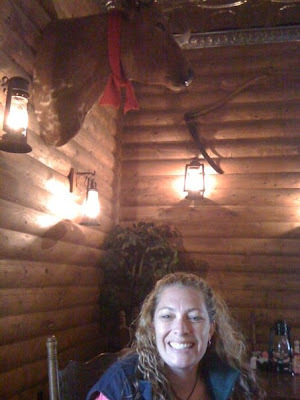 We sat in the "bar" area and the only other customer was a rancher that soon was having a regular conversation with us. and sweet potato fries which were THE BOMB! The guy at the bar was pretty friendly and I started to get that "stranger danger" going in the back of my head. Don't tell him where we're going... lol. But I think he was just a friendly guy, afterall we aren't chopped up on the side of the road somewhere. 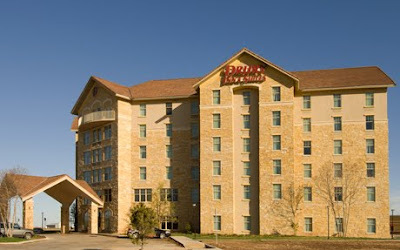 After that we made it to Amarillo and did some shopping. Sarah's daughter's birthday was in two days so she was looking for some presents and I picked up a couple little things for my kids. 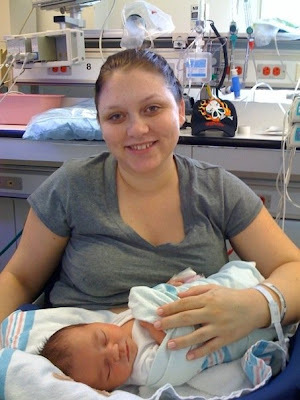 My SIL and her girl after they took her off oxygen!! I think I'm in love!! 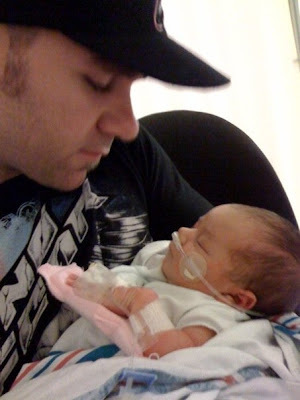 She has to stay in the NICU until Friday so I can't go see her, but I will soon!! Then headed over to have some cocktails. 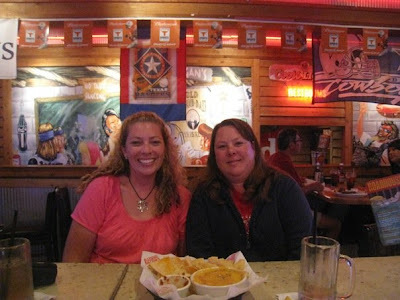 We started at Logan's Roadhouse and had a couple. Then went around the corner and went to the movies! We saw All About Steve which was kind of dumb but funny in that dorky way. THEN we went to Dave's BBQ and had a bunch more drinks and met an Australian named "MICK". Thought for sure he was going to show us his "big knife" at some point. Now that is my kind of customer service!